In Memphis, our ballet comes in color. The largely white world of national ballet has taken note of the city's focus on bringing diverse dancers to the stage, and companies around the country are following suit. These same local companies are developing community partnerships to ensure the art of dance is accessible to all children. With few exceptions such as the venerable Dance Theatre of Harlem and Misty Copeland, the first female African American principal dancer for American Ballet Theatre, classical ballet has long held a reputation of being an art form comprised of mostly white performers supported by affluent, mostly white patrons. Some 1,000 miles away from New York, ballet is also thriving in the Bluff City. On a typical weekday night exacting teachers lovingly guide dozens of young students at the barre through the ballet in classrooms in Cordova, Frayser, Orange Mound, South Memphis, Cooper Young, and Binghampton. Although ballet may be associated with predominant whiteness, at least three ballet schools and associated companies in this city (with greater than 60 percent African-American citizenship) are using a number of methods to increase the number of black children who will someday diversify the ranks of ballet companies in Memphis – and across the nation. The oldest ballet company and school in Memphis, Ballet Memphis, is located on Trinity Road in Cordova. However, in October 2015 the organization demolished the former French Quarter Suites Hotel on the corner of Madison and Cooper in Overton Square to both become part of a burgeoning, synergistic arts district (including Playhouse on the Square, Circuit Playhouse, Studio on the Square, Hattiloo Theatre, and Theatreworks) and increase visibility and accessibility from the public. Founded in 1986, the company currently includes eight African-American dancers as well as Latino and Asian-American dancers, and dancers from abroad among its 24 dancers. One of the seven trainees is black, as well. Founding artistic director Dorothy Gunther Pugh says that having a diverse company is a major priority, a priority that she has spoken about locally and in the national ballet community in organizations such as Dance/USA where she serves as Chair of the Artistic Directors Council. 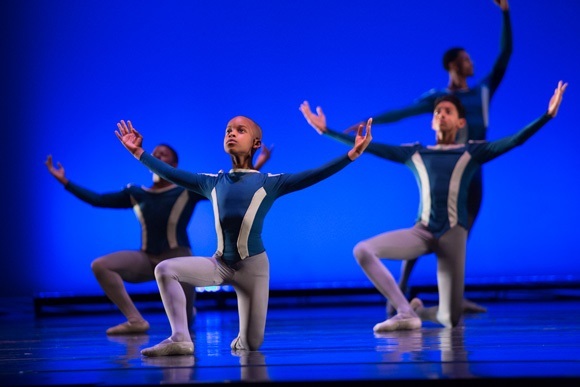 In addition to producing performances with guest choreographers of color and non-traditional performance matter such as The River Project, Ballet Memphis has had programs in schools since its inception. Nikki Lewis, who serves as curriculum developer and teaching artist for Ballet Memphis, began studying ballet at Ballet Memphis school at age eight on full scholarship. She graduated from East High School and earned a degree in dance education from the University at Tennessee at Martin. Lewis now leads the programs offered for students at Knowledge Quest in South Memphis and the Leadership Empowerment Center in Frayser. Lewis is a black woman. Gunther Pugh said the organization decided to have a more focused impact on children’s lives. She also said that it was important for people to understand the organization’s sense of curiosity, passion, inclusion, and commitment to excellence for as many people as possible. “I’ve been in a place where there is capacity to move things forward,” she said. Less than a mile away from the future Ballet Memphis Overton Square facility is New Ballet Ensemble in Cooper Young. CEO and Artistic Director Katie Smythe founded the organization in 2001 inside of a private school. After outgrowing its space there, NBE moved to the Ice House at 2166 Central in 2003, then to their own custom 14,500 square feet space on York Avenue in late 2006. In 2014 NBE was one of 12 organizations that received The National Arts and Humanities Youth Programs Award from the President’s Committee on the Arts and the Humanities. Once students turn eight they move from creative movement and pre-ballet classes to the other offerings. At that point all students are required to take classical ballet, as well as another form of dance such as flamenco, hip hop, or the Memphis dance form known as jookin. Smythe says that this levels the playing field because the ballet dancers tend to be awkward working in hip hop or jookin when they start, and the students with a hip hop or jookin background tend to be awkward when they first start ballet. A part of Smythe’s motivation comes from bringing students from diverse backgrounds together to learn and create, and giving them a space where they can be part of a curriculum for over 10 years. Some students learn about NBE through word of mouth, but Smythe realized in 2009 that simply doing tours in schools was not enough to get students from different areas in her doors. Through residencies, New Ballet offers instruction to students at Dunbar Elementary School in Orange Mound and at Lester Community Center in Binghampton. Smythe is working to increase offerings at Bellforest Community School in Hickory Hill, as well. Two Power Center Academy students are leading the efforts. To make sure programming is appealing to boys, Smythe incorporates things such as sports. Many hip hop dancers take the ballet classes to become stronger. The two moved the organization to Memphis in 2007 and started the school in 2009 with one student in a church studio in Cooper Young. The group rapidly grew, more than doubling in size year after year. 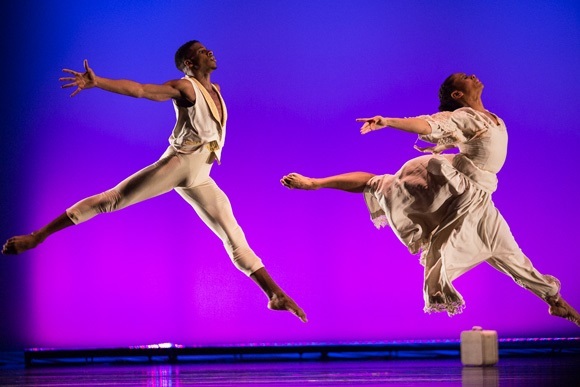 Rehearsal director and dancer Brandye Lee cites this growth as evidence of the necessity of Collage in the Memphis market for black students studying classical ballet. Collage moved into a brand new studio on Broad Avenue in late 2012 and currently serves 180 students between two classrooms. The space was chosen because of its location to those in the city center, as well as easy access for the families who live in East Memphis via the Sam Cooper interstate artery. Collage Dance Collective operates on a mission to increase diversity in ballet by making it more inclusive. Harper and Thomas choose to achieve this goal in two ways: One by providing young students high quality classical ballet training (particularly black students), preparing them to enter the professional realm. Secondly, they engage people who may think that ballet is not for them with work reflective of the community. Harper points out to students that because fewer men participate in ballet, the opportunity for dance scholarships is greater. He spoke about why the percentage of boys in Collage is important in the ballet world. A major turning point occurred in the organization’s history when Harper and Thomas brought on board six additional full time dancers from all across the country in August 2015. Two dancers and one apprentice were a part of the conversancy originally. Before that point, Collage would bring in dancers for two to three weeks for productions. In the short period of time since, the staff has noticed a marked increase in work ethic from students. They say having the full time dancers, most of whom also teach, provides a visible bar for what is expected from students and what they should emulate. “They want to be and dance like them,” Harper said. “It’s a different thing when your teacher is (also) the person you see on stage,” Lee added. To help continue that growth, Collage began a GIVE 180 campaign. Donors are asked to contribute (at least) $15 a month to go towards expenses such as attire, ballet shoes, and operating costs. “We have proven that brown kids want to do ballet,” Harper said. “Brown people will come to ballet and give to ballet,” Harper said. Read more articles by Elle Perry. A native of Memphis, Elle Perry serves as coordinator of the Teen Appeal, the Scripps Howard city-wide high school newspaper program.